Bicester Moves is an innovative project to facilitate re-use in the growth town of Bicester. It is the first re-use project that focused specifically on home moving by aiming to get households goods moving through a circular rather than a linear path of use, bringing resource efficiency, social and economic benefits to the locals of Bicester. We collected service information from the following shops in Bicester to provide useful and comprehensive information to residents. The Bicester re-use map (“Bicester Second hand and Repair Map”); 4,000 copies of distributed through the re-use shops, public spaces, and events. In order to reach movers, we contacted developers, real estate agencies, mortgage advisors and moving companies in Bicester. The Bicester Moves bin hanger distributed to 12,000 properties, providing residents with a link to the website. As a result, the website is now visited by almost 497 each month. The Bicester Moves website www.bicestergreen.org.uk/bicester-moves has become an online distribution channel for the map and point of contact for events, workshops and enquiries about second hand outlets. Press releases were sent out for the project launch as well as each event and workshop, resulting in 19+ articles in local media. Posters and flyers were developed for each event and workshop. They were distributed through re-use shops, public spaces, and social media. A wide range of re-use activities were provided . Interacted with 4900 households via the Bicester Moves map & Bicester Moves website as well as social media. 250 enquiries (145 phone calls and 105 emails) excluding face-to-face. Directly engaged with 1000 households through re-use events and workshops. Bicester Green received over 4,000 kg of furniture, a 51% increase compared and 800 kg of electrical goods a 18% increase. 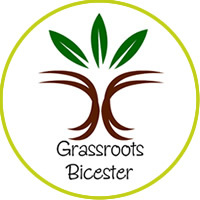 2 jobs were created, Bicester Moves project officer and communications intern.